Synonyms: Agaricus limacinus, Agaricus olivaceoalbus, Limacium olivaceoalbum. Common name: olive wax cap. Russian names: Gigrofor olivkovo-belyy, Slastena, Chernogolovik, Mokritsa olivkovo-belaya. Extract from Wikipedia article: Hygrophorus olivaceoalbus, commonly known as the olive wax cap, is a species of fungus in the genus Hygrophorus. The fruit bodies (mushrooms) appear from midsummer to late autumn under conifers in North American and Eurasian mountain forests. 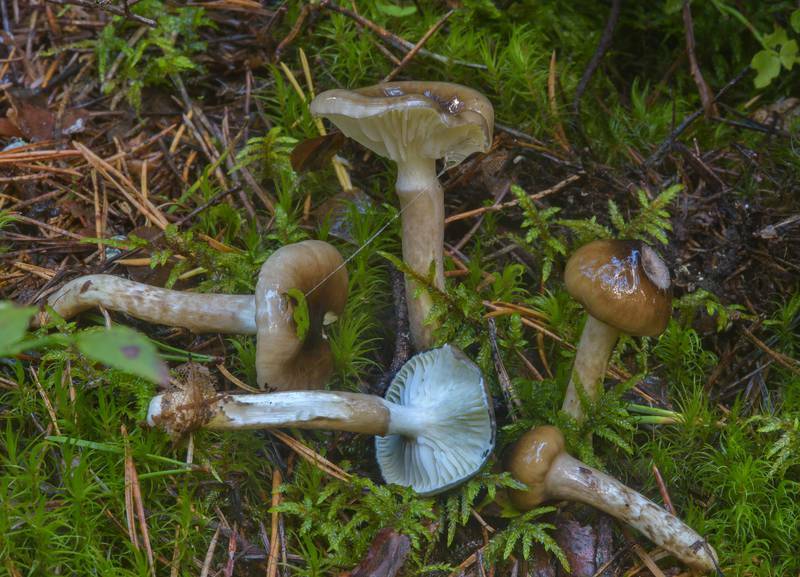 The mushrooms have olive-brown, slimy caps with dark streaks and a dark umbo; the caps measure 3 to 12 cm (1.2 to 4.7 in) in diameter. Other characteristic features include a slimy stem up to 12 cm (4.7 in) long that is spotted with ragged scales up to a ring-like zone. 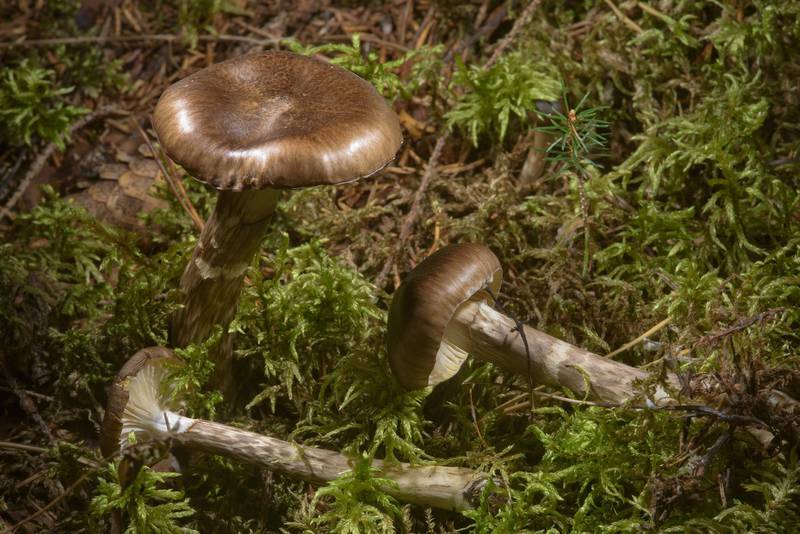 As its name implies, the mushroom has a waxy cap and gills. It is native to North America and across the northern regions of Europe. 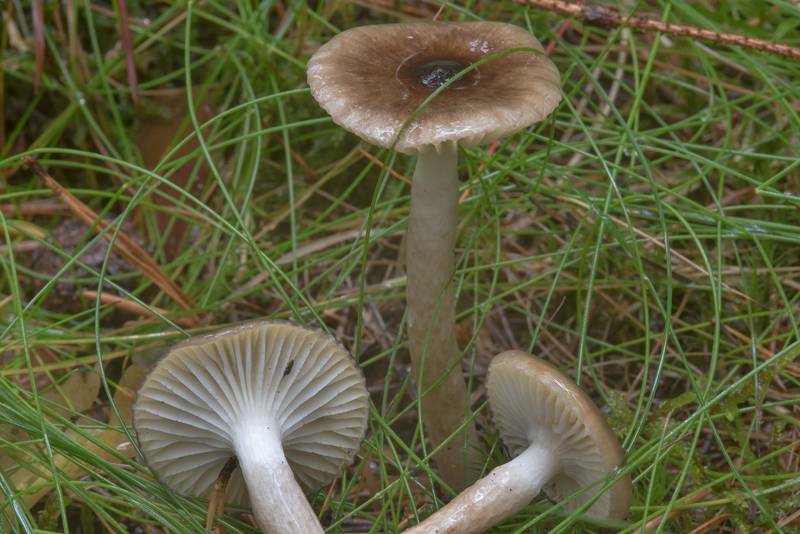 According to a publication by the Council of Europe, the fungus is nearly extinct in France. Search of mushroom species for given keywords "Hygrophorus olivaceoalbus" was done through catalogueoflife.org. Selection of a particular species from the list of 9 species was performed automatically. Attributes of the species were taken from catalogueoflife.org. There is a Wikipedia article about this mushroom.